NULGE Honours Governor Ahmed for ensuring LG Autonomy, Solicits Further Cooperation – Royal Times of Nigeria. of Local Government Employees (NULGE) for enhancing the autonomy of local governments (LG) and promoting the cause of their workers. According to a statement issued by the Governor’s Senior Special Assistant on Media and Communications Dr Muyideen Akorede, the governor was recognized during the grand finale of the celebration of NULGE at 40 which held in Abuja on Monday. 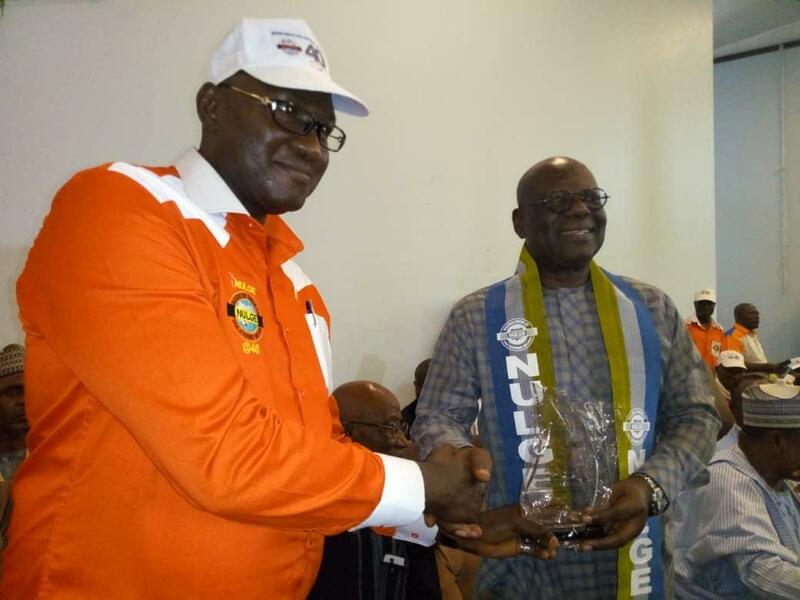 According to the organizers, Alhaji Ahmed was recognized for his “patriotism and selflessness in assisting NULGE bring Local Governments in Kwara to their present position”. The Union added that Governor Ahmed, who was among the 9 NULGE-friendly governors that signed the LG Autonomy Bill into law, was also honoured for his commitment to the third-tier of government for purposeful leadership to the people at the grass-root. Receiving the award from NULGE President, Comrade Ibrahim Khaleel, Governor Ahmed who was represented by his Special Adviser on Labour Matters, Comrade Bisi Fakayode, appreciated the Union for the recognition and emphasized that the state government is fully in support of Local Government autonomy. He said the sixteen local government areas in the state administer their funds through the Joint Account Allocation Committee (JAAC), stressing further that the government’s relationship with the LGs in the state is determined by the Nigerian constitution and other extant laws. He, however, solicited for further cooperation from the Local Government workers to move the state to more enviable heights.